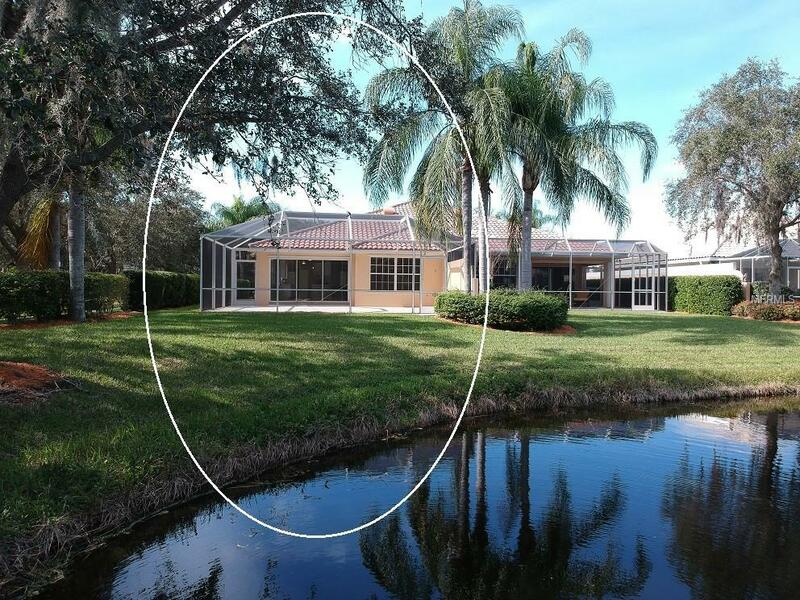 Sparkling Water View Villa located in the exclusive Sarasota resort-style, gated Palmer Ranch community of VillageWalk. Situated on a desirable corner-lot enjoy peaceful living with plenty of privacy. This bright and open, two bedroom villa features the larger 1693sf split-bedroom floorplan with two master suites, walk-in closets and baths in each wing. 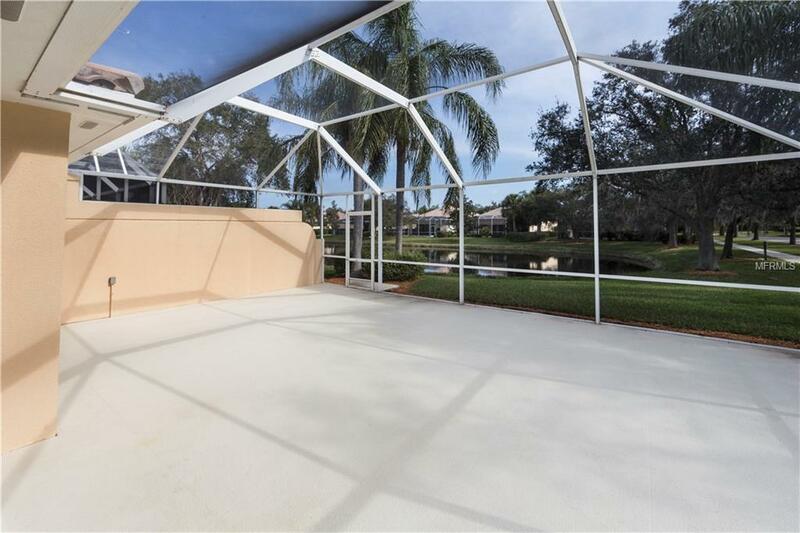 Enjoy the extended, screened lanai overlooking the water and central flex den/media/formal dining room with custom built-in shelving, perfect for entertaining. Ceramic tile and laminate flooring throughout makes care a breeze. Soaring cathedral ceilings and triple sliding glass doors allow for plenty of natural light. Other features include a barrel tile roof, pavered drive, interior paint 2018 & new AC 2012. VillageWalk is a private community with 1,177 residences situated on 516 lushly landscaped acres. 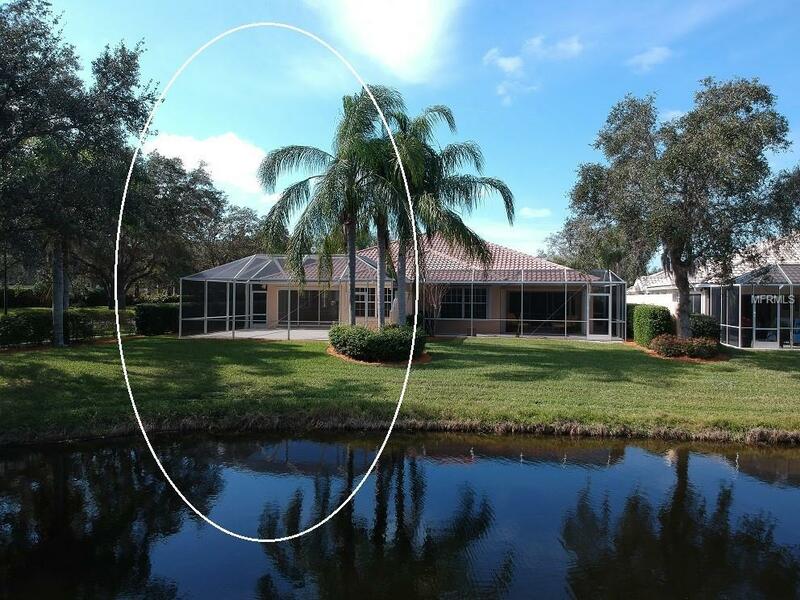 Close to all Sarasota has to offer in the heart of Palmer Ranch. There are miles of walking paths along scenic lakes and bridges. Enjoy the lakefront Town Center with convenient amenities including multi-purpose meeting rooms, state-of-the-art fitness center, 6 lighted Har-Tru tennis courts, heated lap pool and a lagoon pool for active lifestyles. In addition, there is a gas station, Caf, hair salon, gift shop and post office exclusively for VillageWalk residents. 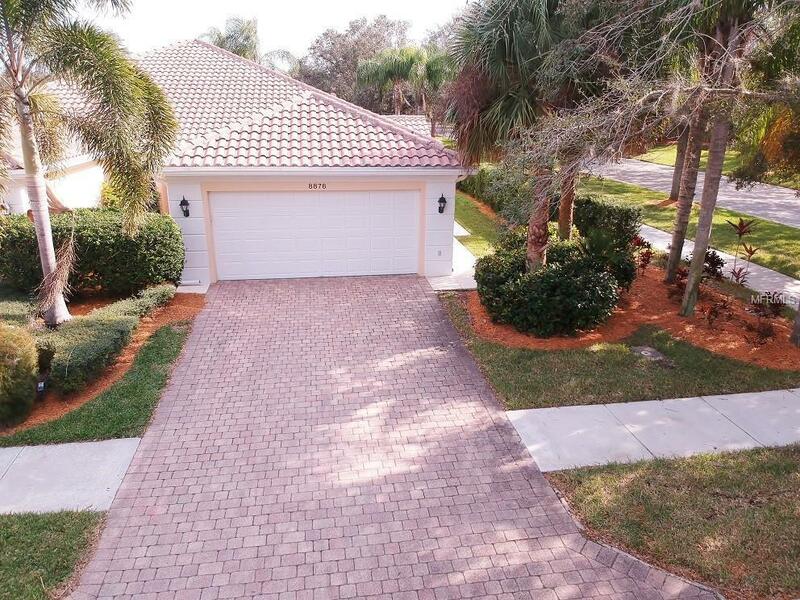 So convenient to shopping, schools, restaurants and sandy beaches of Siesta Key and Lido, the Legacy biking trail and historic downtown Venice and Sarasota. You deserve this, come and see! Additional Lease Restrictions 4 Month Minimum Lease Application Required Contact Courtney Morrison At 941-925-8775 Or Vwadmin@Vwhoa.Org. Listing provided courtesy of Barrett Realty, Inc.